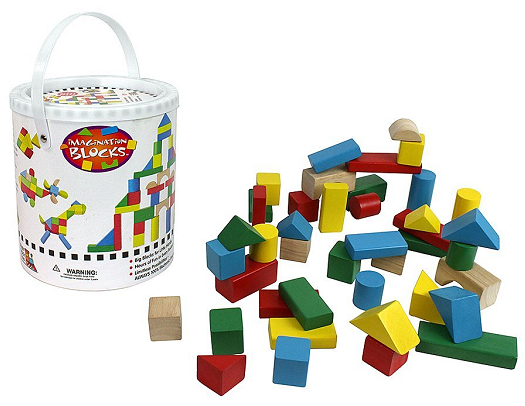 Wood Building Blocks - 42pc Set - Just $10.95! You are here: Home / Great Deals / Amazon Deals / Wood Building Blocks – 42pc Set – Just $10.95! Wood Building Blocks – 42pc Set – Just $10.95! Get this 42-piece Set of Wood Building Blocks with Carrying Bag and Tub for just $10.95 on Amazon (reg. $19.95). Natural or rainbow colored blocks are available. Super Saver Shipping will be FREE with an order of $35 or more or get FREE 2-day shipping with Amazon Prime.